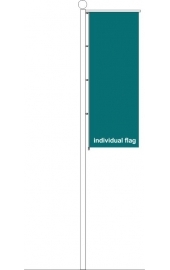 Ground based flagpole individual - Flags - Flag webshop: Why are you wasting your precious time for quations requests, when you could make the purchase in 2 minutes? When will I get the price? What size is the best for the flag? How should I use the flag? You can decide what type of flag you want ont he grounds of images. It is important that your pole is with or without wind tracker, so choose according to this. You count the price yourself with calculator, together with flag size and you will get the price immediately, and it will be an official price offer too! You can add more items – sizes, but this time you have to show which size passed to which graphics in e-mail. There are standard width sizes these are 1.0 m, 1.2 m, 1.5 m. You determine the length of the flag. 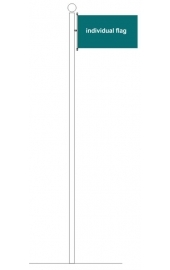 It is best to half the height of the flagpole flag height. It is aesthetically pleasing and structurally are not subject the flagpole. At the National Weather Service, at orange or red emergency, you must removed the flag. It is important because you can avoid an accident or the flag, flagpole prevent damage.